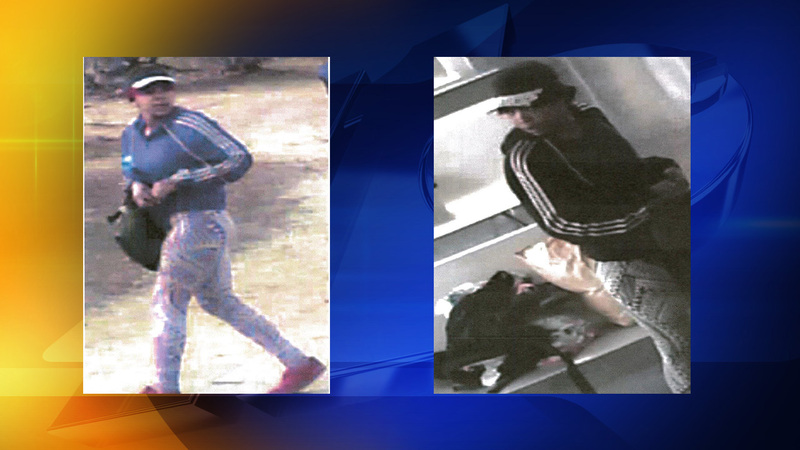 DURHAM, NC (WTVD) -- Durham police are trying to identify a woman who allegedly slashed a man's neck during a dispute on a GoDurham bus on March 15 near the intersection of East Main Street and Angier Avenue. Police said the incident happened around 5:30 p.m. when a female passenger became angry and threw a soda bottle through a windshield, according to witnesses. The female slashed the male passenger's neck with a box cutter, according to the witnesses, and then got off the bus. According to police, the male passenger was taken to the hospital for treatment for injuries that did not appear to be life-threatening. The suspect is described as a black female in her 20s, about 5'4, with a medium build and a medium to light complexion with red hair. She was wearing a dark top with stripes on the sleeves and brown animal print leggings, according to police. Police said she was carrying a small child. Anyone with information is asked to call Investigator Junker at (919) 560-4935, ext. 29416 or CrimeStoppers at (919) 683-1200.